While the Internal Revenue Service (IRS) permits the late filing of federal taxes, it restricts the length of time they can be overdue and who can take advantage of its leniency. Additionally, while the agency permits taxpayers to file their returns late, it does not permit them to pay late. In fact, paying late may subject a taxpayer to additional penalties. 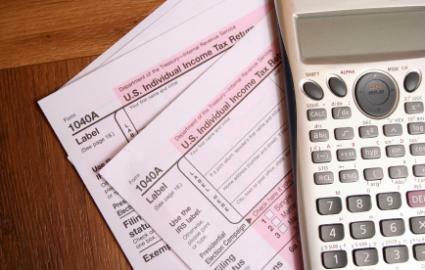 The filing deadline for tax returns changes slightly each year, but in general falls in the middle of April. The IRS establishes the deadline. Electronic and mailed forms must bear a postmark no later than midnight of the deadline. Although strict about it, the IRS is aware that circumstances may prevent a taxpayer from complying with their deadline. It allows extensions, but only in a limited number of circumstances, such as living outside of the country and medical emergencies. If claimed and proven after the deadline passes, a taxpayer can receive an extension to file a return or have their submitted return accepted without being penalized. The IRS prefers when taxpayers submit their return simultaneously with a letter explaining their tardiness as well as any payment due. Otherwise, a taxpayer can only legally file their taxes late if they request an extension. To do so, they must file IRS form 4868, titled "Application for Automatic Extension of Time." This form is only available to taxpayers intending to file forms 1040, 1040A, 104EZ, 1040NR, 1040NR-EZ, 1040-PR or 1040-SS or a 709 gift tax return. It must be postmarked by the filing deadline. Upon receipt of form 4868, the IRS gives the applicant an additional six months to file their return. No further extensions are allowed. Failure to file a return prior to the end of the six months may subject a taxpayer to penalties. The IRS gives taxpayers living abroad an additional two months to file their taxes. To receive the full six month extension, however, they must file Form 4868 before the end of the two months. Despite allowing extensions to file, the IRS does not extend the timeframe in which payments must be made. This means that payments must accompany an extension request and be postmarked or electronically time-stamped by midnight of the day they are due. The IRS requires taxpayers to estimate their amount of taxes due and pay according to their estimate. Underpayment of estimated taxes may subject the taxpayer to penalties, but overpayment entitles the taxpayer to a refund. The IRS assesses penalties against taxpayers who file or pay late. Each separate action - filing and paying - is penalized separately, but in some instances the total amount of liability may be reduced to avoid excessive unfairness. Filing Late: The IRS assess five percent of the total amount a taxpayers owes on the deadline every month that the return is overdue, up to a maximum of 25 percent. However, the IRS does not distinguish between full or partial months. Therefore, being even one day into the month adds an additional five percent penalty. A taxpayer with a return more than 60 days late is charged a penalty of 100 percent of the tax due or $100, whichever is smaller. Paying Late: The IRS charges taxpayers who do not pay their estimated tax liability by the deadline. 5 percent of the tax liability for each month it is overdue. This penalty increases to one percent if the taxpayer continues to not pay after the IRS mails a demand letter. Taxpayers who file an extension may avoid this penalty, but only if they pay a minimum of 90 percent of their liability by the due date. A taxpayer who files and pays their taxes late may receive a reduction in the amount they are penalized. Usually, the amount of the penalty for filing late is reduced by the amount of penalty for paying late. The IRS penalties for filing taxes late can significantly increase the amount you owe the federal government. To avoid these penalties and keep your tax liability as low as possible, ensure that you adhere to agency's filing and payment deadlines.